‘Abd al-Malik ibn Marwan was the Umayyad caliph who ruled from 65/685 until 86/705. He inherited a fractured polity from his father, who was apparently murdered in his sleep by one of his wives. The rebel Ibn al-Zubayr controlled the holy sites in the Hijaz, along with signiﬁcant areas of Iraq, where both he and ‘Abd al-Malik confronted ‘Alid and Kharijite rebels. Only Syria remained ﬁrmly in Umayyad hands, and even there ‘Abd al-Malik faced a revolt led by ‘Amr b. Sa‘id al-Asdaq, a family rival, in 69/688–689. These internal threats forced ‘Abd alMalik to sign a treaty with the Byzantines, paying them tribute in 70/689–690. He was able to restore order and consolidate his power by 73/692. ‘Abd al Malik continued to face occasional revolts in Iraq and farther east in Khurasan, but his viceroy Hajjaj ibn Yusuf contained these threats ably (and sometimes viciously). ‘Abd al-Malik devoted the remainder of his reign to centralizing power in the capital at Damascus. He depended on his own family for sensitive positions, which was in contrast with his predecessors’ reliance on local elites. He used his powerful Syrian army to crush any provincial resistance. ‘Abd al-Malik introduced the ﬁrst distinctly Islamic coinage. In contrast with older Muslim coins, which were based on Byzantine models, ‘Abd al-Malik’s coins were devoid of pictorial images and included Qur’anic phrases instead. The remarkable uniformity of these coins demonstrates the degree to which ‘Abd al-Malik centralized the control of minting money. His coins remained the model for coins through out the Umayyad and ‘Abbasid periods. In addition, ‘Abd al-Malik began the long process of establishing Arabic as the standard administrative language of the realm and invested heavily in agricultural development, particularly in Iraq and the Hijaz. At his death in 86/705 at the age of 60, he was succeeded by al-Walid, the ﬁrst of four of his sons to ascend to the caliphate. ANDALUS, Al-Andalus is the geographic term used to denote those areas of modern Spain that came under Muslim control in the Middle Ages. Today, the term (Spanish, Andalucía) refers to a particular territory located in southern Spain. 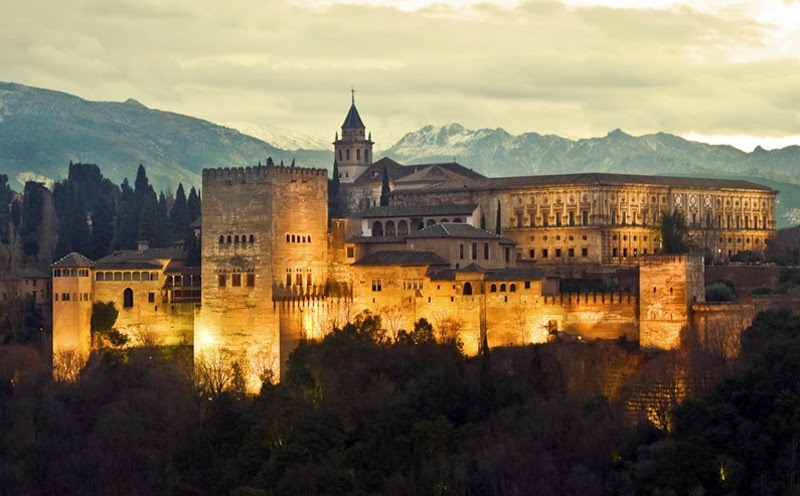 Al-Andalus or Muslim Spain (both terms will be used interchangeably), with its famous mosques, irrigated gardens, developments in poetry, philosophy, and science, is often referred to as the cultural golden age of Islam. The actual Muslim presence there lasted 781 years (711–1492 C.E.) and its inﬂuence on everything from architecture to science is still palpable. For the sake of convenience, what follows is divided into three parts: history and main developments, cultural achievements, and the Jews of al-Andalus. Prior to the arrival of the Muslims, Spain was under the control of the Visigoths, who maintained ﬁrm control of the region with the help of a rigid church hierarchy. In 711, Arab and Berber forces, under the leadership of Tariq b. Ziyad, defeated the Visigothic King Rodrigo at the River Barbate. The Arab armies tried to move as far as France but were eventually repelled in 732 by Charles Martel. During the ﬁrst decades after 711, al-Andalus functioned as a frontier outpost with the Umayyad caliph in Damascus appointing its governor. Around the year 750, however, a dynastic struggle in the East led to change in rule from the Umayyads to the Abbasids. Signiﬁcantly, in 756, an Umayyad prince by the name of Abd al-Rahman I arrived in Spain. He was able to gain sufﬁcient political support there, thereby creating an independent and sovereign state, referred to as the Marwanid dynasty, based in Cordoba. The high point of the Marwanid dynasty occurred during the rule of Abd al-Rahman III, who reigned for ﬁfty years (912–961). This coincided with a period of stability after he had subdued revolting factions and stopped the advances of the neighboring Christians—something his predecessors had been unable to accomplish. He was also responsible for the construction of the monumental royal city, Madinat alZahra, just outside of Cordoba. Under his rule, Cordoba became a true cosmopolitan center, rivaling the great cities of the Islamic East and far surpassing the capitals of Western Europe. After the death of Abd al-Rahman III, the central caliphate gradually fragmented into a number of smaller kingdoms ruled by various “party kings” (muluk al-tawaif). The history of al-Andalus in the eleventh-century is one of gradual diminishment as various Christian monarchs attempted to encroach upon the area held by the Muslims, an area that they felt compromised the national and religious unity of Spain. This re-conquering (Spanish, Reconquista) became so vigorous that the various Muslim kingdoms had no choice but to seek help from the Almoravids, a dynasty based in North Africa. The result was that al-Andalus, for all intents and purposes, lost its independence, becoming little more than an annex of a government situated in North Africa. In 1147, the puritanical Almohades, another dynasty based in North Africa, invaded Spain. This dynasty was determined to put an end to the religious laxity that they witnessed among the Andalusian intellectual and courtier classes. They demanded, inter alia, the conversion of all Christians and Jews to Islam. It was during this period that many Jews left Spain: the majority went north to Christian territories. According to some modern commentators, the Almohade invasion signaled the end of one of the most fascinating and eclectic eras of world history. By the thirteenth century, al-Andalus was essentially comprised of Granada and its immediate environs. Here the Nasrid dynasty, with its royal palace in the al-Hamra (Alhambra), ruled as quasi-vassals of the Christian king. The Alhambra, with its open courts, fountains, and irrigated gardens, is today one of the best preserved medieval castles in Europe. In 1492, under the leadership of King Ferdinand of Aragon and Queen Isabella of Castile, the Reconquista was completed. All those who were not Christian (i.e., Muslims and Jews) were expelled from Spain. From a cultural and philosophical perspective, the achievements associated with the inhabitants of al-Andalus are unrivalled. The Marwanid capital, Cordoba, alone had over seventy libraries, which encouraged many great architects and scientists to settle there. The caliphs and rich patrons, in turn, established schools to translate classical philosophic and scientiﬁc texts into Arabic. Although the center at Cordoba gradually fragmented into a number of kingdoms, there nevertheless ensued a rich intellectual, cultural, and social landscape that was grounded on the notion of adab, the polite ideal of cultured living that developed in the courts of medieval Islam. The adab (pl., udaba) was an individual deﬁned by his social graces, literary tastes, and ingenuity in manipulating language. One of the main developments within Andalusian literature was the muwashshah. The muwashshah, which seems to have originated in the ninth century, is a genre of stanzaic poetry whose main body is composed in classical Arabic with its ending written in vernacular, often in the form of a quotation (kharja). The main themes were devoted to love, wine, and panegyric; eventually, this genre proved popular among Suﬁs (e.g., ibn Arabi). The muwashshah was also a popular genre among non-Muslims, especially among Hebrew poets. Al-Andalus is also associated with some of the most famous names of Islamic intellectual history. Unlike the great majority of philosophers in the Muslim East, the overarching concern of Andalusian Islamic thinkers was political science. Questions that they entertained were: What constitutes the perfect state? How can such a state be realized? What is the relationship between religion and the politics? And, what should the philosopher, who ﬁnds himself in an unjust state, do? Another important feature of Islamic philosophy in alAndalus was an overwhelming interest in intellectual mysticism, which stressed that the true end of the individual was the contact (ittisal) between the human intellect and the Divine Intellect. Philosophy in al-Andalus reached a high-point with Ibn Bajja (d. 1139). His Tadbir al-mutawahhid (Governance of the solitary) examines the fate of a lone individual who seeks truth in the midst of a city that is concerned primarily with ﬁnancial gain and carnal pleasures. Such an individual must, according to Ibn Bajja, seek out other like-minded individuals and avoid discussing philosophy with non-philosophers. Ibn Tufayl (d. 1185) picks up this theme in his philosophical novel Hayy ibn Yaqzan. The goal of this work is to show that the unaided human intellect is capable of discovering Truth without the aid of divine revelation. Ibn Tufayl, according to tradition, was also responsible for encouraging the young Ibn Rushd (d. 1198) to write his commentaries on the works of Aristotle. Within this context, Ibn Rushd wrote not one but three commentaries to virtually the entire Aristotelian corpus. These commentaries, in their Latin translations, were the staple of the European curriculum until relatively recently. Suﬁsm, or Islamic mysticism, was also a prominent feature of the intellectual and cultural life of al-Andalus. In fact, one of the most important Suﬁs, Ibn Arabi (d. 1240), was born in Murcia in southeastern Spain. 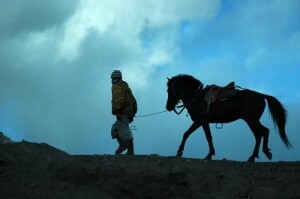 After a mystical conversion as a teenager, he set out on a life of asceticism and wanderings. Ibn Arabi essentially interpreted the entire Islamic tradition (jurisprudence, the Quran, hadith, philosophy) through a mystical prism. The culture of al-Andalus would also have a tremendous impact on non-Muslim communities living there. The adab ideal (mentioned in the previous section) proved to be very attractive to the local population (both Jewish and Christian), who adopted the cosmopolitan ideals of Islamicate culture, including the use of Arabic. Within the history of Jewish civilization, al-Andalus (Hebrew, ha-Sefarad) holds a special place. Legend has it that the Jews not only welcomed, but also physically helped, the Muslims conquer the oppressive Visigoth rulers. The cooperativeness of the Jews and their ability to integrate into Andalusian Arab society subsequently createdan environment in which Jews ﬂourished. Arabic gradually replaced Aramaic as the language of communication among Jews: By adopting Arabic (although they would write it in Hebrew characters, and today this is called Judeo-Arabic), Jews inherited a rich cultural and scientiﬁc vocabulary. It was during the tenth century, for example, that Jews ﬁrst began to write secular poetry (although written in Hebrew, it employed Arabic prosody, form, and style). The names of famous Jews who lived in al-Andalus reads like a “who’s who” list of Jewish civilization. 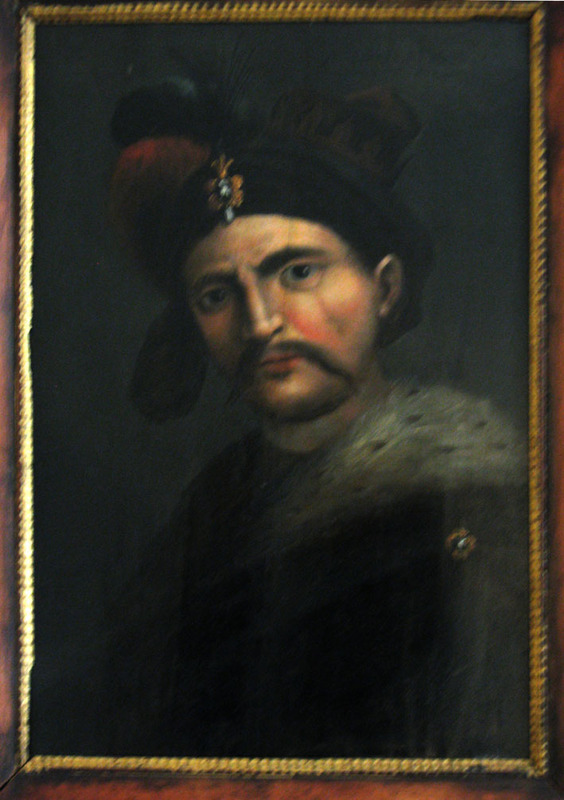 Shmuel haNagid (993–1055), for example, became the prime minister (wazir) of Granada. His responsibilities included being in charge of the army (i.e., having control over Muslim soldiers), in effect becoming one of the most powerful Jews between Biblical times and the present day. His poetry recounting battles is among the most expressive of the tradition. The fact that a Jew could attain such a prominent position within Muslim society reveals much about Jewish-Muslim relations in Spain. Other famous Hebrew poets included Moshe ibn Ezra (d.1138) and Judah Halevi (d.1141), whose sacred poetry is still part of the Jewish liturgy. Al-Andalus was also the birthplace of the most famous Jewish philosopher: Moses Maimonides (d.1204), who attempted to show the compatibility between religion and philosophy by arguing that the former was based not on superstition, but rational principles. In sum, al-Andalus was not only a region, but also represented a way of life that Muslims and Jews look back at with fondness. With its rich contributions to science, literature, architecture, and interfaith relations, al-Andalus played a prominent role in Islamic history. Shah Abbas I, the ﬁfth ruler of the Safavid dynasty, ruled Iran from 1587 until 1629, the year of his death. Shah Abbas came to power at a time when tribal unrest and foreign invasion had greatly reduced Iran’s territory. Once on the throne he set out to regain the lands and authority that had been lost by his immediate successors. His defeat of the Uzbeks in the northeast and the peace he made with the Ottoman Empire, Iran’s archenemy, enabled Shah Abbas to reform Iran’s military and ﬁnancial system. He diminished the military power of the tribes by creating a standing army composed of slave soldiers who were loyal only to him. These so-called ghulams (military slaves) were mostly Armenians and Georgians captured during raids in the Caucasus. In order to increase the revenue needed for these reforms the shah centralized state control, which included the appointment of ghulams to high administrative positions. With the same intent he fostered trade by reestablishing road security and by building many caravan series throughout the country. Under Shah Abbas, Isfahan became Iran’s capital and most important city, endowed with a new commercial and administrative center grouped around a splendid square that survives today. His genius further manifested itself in his military skills and his astute foreign policy. He halted the eastward expansion of the Ottomans, defeating them and taking Baghdad in 1623. To encourage trade and thus gain treasure, he welcomed European merchants to the Persian Gulf. He also allowed Christian missionaries to settle in his country; hopeful that this might win him allies among European powers in his anti-Ottoman struggle. Famously down to earth, Shah Abbas was a pragmatic ruler who could be cruel as well as generous. Rare among Iranian kings, he is today remembered as a ruler who was concerned about his own people. The north Indian city of Aligarh, site of Aligarh Muslim University, has played a leading role in the political life and intellectual history of South Asian Muslims since the middle of the nineteenth century. The importance of Aligarh arose initially under the leadership of Sayyid Ahmad Khan (1817–1898). Through a series of organizations and institutions, the “Aligarh movement” (the social, cultural, and political movement founded by Sayyid Ahmad Khan) sought to prepare Muslims for changes in technology, social life, and politics associated with British rule, the rise of nationalism, and the conditions of modernity. In 1865, Aligarh became the headquarters of the Aligarh Scientiﬁc Society, and, in 1875, the Mahomedan Anglo-Oriental College, the forerunner of the university established there in 1920. Aligarh was the ﬁrst headquarters of the Muslim League, a party established in 1906 to secure recognition of Muslims as a separate political community within India, a concept that ultimately led in 1947 to the partition of India and the creation of Pakistan as a separate nation-state for South Asian Muslims. After partition, the Aligarh Muslim University remained one of a small group of national universities in India. In its early years, the Aligarh College attracted patronage and recruited students from Muslim communities throughout India, both Sunni and Shia, as well as signiﬁcant numbers of Hindus. Aside from some short-lived efforts to include Arabic studies and Urdu as a language of instruction, the college followed the standard British imperial curriculum. Ofﬁcial British patronage became more signiﬁcant after 1887, when Sayyid Ahmad Khan called for Muslim opposition to the newly founded Indian National Congress. In the twentieth century, Aligarh became an arena for opposing political tendencies among Muslims, including supporters of Indian nationalism and international socialism, as well as of Muslim separatism. Aligarh graduates achieved prominence as writers, jurists, and political leaders. At the same time, Aligarh was the target of much opposition, particularly for its association with social reform and religious modernism. In 1906 the Aligarh Zenana Madrasa provided separate education for girls, and became the Aligarh Women’s College in 1925. When Sir Sayyid Ahmad Khan died in 1898, his successors initiated a campaign to establish an autonomous, allIndia educational system for Muslims under the auspices of an afﬁliating university. The university established in 1920, however, was conﬁned to Aligarh and remained under British control. In response, Mohandas K. Gandhi and two Aligarh graduates, the brothers Shaukat Ali and Muhammad Ali, led a noncooperation campaign that established an alternative nationalist institution, the Jamia Millia Islamiya, outside the campus gates and subsequently relocated to Delhi. In the ﬁnal years before independence and partition, Aligarh students toured India on behalf of the Pakistan cause, though others devoted themselves to the ideal of a united and secular India. Zakir Hussain, the ﬁrst postindependence vice chancellor of Aligarh Muslim University, and later president of India, succeeded in preserving the university’s Muslim identity as a way of preparing Muslims for full participation in national life. A center for Urdu writers and historians of Mughal India, many of them Marxists, the university has so far been able to fend off efforts to undermine its role as an national center for Indian Muslims. Aisha bint Abi Bakr was the favorite wife of the prophet Muhammad and signiﬁcant religious and political ﬁgure in early Islam. The daughter of Umm Ruman and one of the Prophet’s companions, Abu Bakr (the ﬁrst caliph of Islam after the death of the Prophet), she married Muhammad at a young age. Her intelligence, beauty, and spirited personality are well recorded in historical sources. The hadith tradition records a unique level of intimacy shared by the Prophet and Aisha. They bathed in the same water, he prayed while she lay stretched out in front of him, he received revelation when they were under the same blanket, and he expressed a desire to be moved to Aisha’s chambers when he knew his death was approaching. Affection and playfulness also characterized their relationship. They raced with each other and enjoyed listening to the singing of Ethiopian singers together. The Prophet related that when Aisha was pleased with him, she would swear “By the God of Muhammad” and when she was annoyed with him she would swear “By the God of Abraham.” She regularly engaged the Prophet on issues of revelation and religion. Recognizing her intelligence and perceptiveness, he told the Muslims “Take two-thirds of your religion from al-Humayra,” the term of affection referring to the rosy-cheeked Aisha. A scandal once surrounded Aisha, who was mistakenly left behind during a caravan rest stop on an expedition with the Prophet. She returned to Medina escorted by a young man who had found her waiting alone. Amid the ensuing gossip and speculation about Aisha’s ﬁdelity, one of the Prophet’s companions, Ali, advised Muhammad to divorce her. This caused her to bear deep resentment against Ali, which manifested itself in her later opposition to him as Muhammad’s successor. Finally a Quranic revelation exonerated her of all suspected wrongdoing, proclaiming her innocence. This same revelation established the punishment for false accusations of adultery. In the lifetime of the Prophet she, together with Muhammad’s other wives, was referred to as “Mother of the Believers.” She is known to have transmitted approximately 1,210 traditions (hadiths), only 300 of which are included in the canonical hadith collections of Bukhari and Muslim. She is said to have transmitted hadith to at least eighty-ﬁve Muslims, as well as to have corrected inaccuracies in the hadiths reported by some of the Prophet’s male companions. After the death of the Prophet, she was critical of the third caliph, Uthman, but also called his killers to accountability during the caliphate of Ali. Together with the Companions Zubair and Talha, she mobilized opposition to Ali, culminating in the Battle of the Camel (656 C.E.). The name of the battle reﬂects the centrality of Aisha’s role in the conﬂict, seated on her camel in the middle of the battleﬁeld. This struggle over succession marked the development of a major civil war (called ﬁtna) in Islam, which ultimately contributed to one of the most signiﬁcant religious and political divisions in the Muslim world. The representations of Aisha in subsequent Shiite and Sunni polemics reﬂected some of the historical antagonisms between the two. Many Shiite Muslims reviled Aisha, whereas Sunni Muslims embraced her as a revered wife of the Prophet. Tradition holds that she was consulted on theological, legal, and other religious issues, and was also known for her poetic skills. 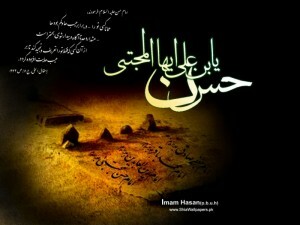 She is buried at al-Baqi in Medina. Note: All the information above is is taken from some neutral websites and encyclopedia and we tried our best to avoid any controversial details or views related to particular sect in above mentioned information. One of the most famous emperors of the medieval Western Sudanic kingdom of Mali, Mansa Musa reigned from about 1312 to 1337. He extended the kingdom of Mali by bringing under its suzerainty many non-Mandingo people of the Sahel. Many sources, including the Arabic author al-_Umari (1301–1394), described Mansa Musa as a pious Muslim, and as one of the medieval rulers whose contribution to the spread of Islam in the Western Sudan was the most significant. One of the most noted events of Mansa Musa’s reign was his pilgrimage to Mecca in 1312. On his way, Mansa Musa visited Egypt during the reign of the Mamluk sultan, Nasir b. Qala_un. Mansa Musa, it has been reported, was accompanied by thousands of peoples and camels laden with gold. He gave huge quantities of gold to the sultan of Egypt. Mansa Musa’s stay in Egypt was one of the main events of the year 1312. He distributed so much gold that the price of this precious metal dropped. Perhaps because of the notoriety he gained by this pilgrimage, Mali started to appear in maps drawn by European cartographers. 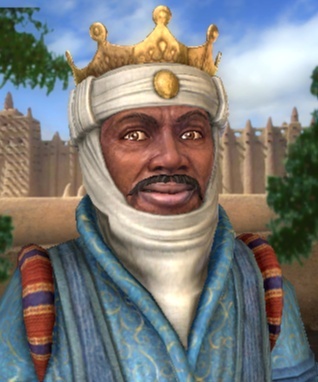 Mansa Musa’s reign supported a flowering in Malian scholarship and architecture. He commissioned al-Sahili, the Andalusian poet and man of letters, to design mosques and other buildings in Mali. Mansa Musa attracted scholars and brought back books of Islamic jurisprudence to the libraries Mali. He also began sending students to Islamic universities in North Africa. He built Qur_anic schools, and established the Friday congregational prayer in Mali. Hasan ibn _Ali ibn Abi Talib was the grandson of the prophet Muhammad and the second Shi_ite imam. Born in Medina in 624, three years after the hijra, he died at age forty-six in Medina in 670. In Shi_ite parables he and his brother Husayn, the third imam, are figured as two alternative political strategies against injustice in the world and in politics. Hasan embodies the path of patience, which allows the enemy slowly to demonstrate unworthiness and lose any claim to legitimacy. Marwan b. al-Hakam b. Abi al-_As, Abu _Abd al-Malik, the eponym of the Marwanid branch of the Umayyads, reigned for several months in 684 and 685 C.E. He was one of the Companions of Muhammad and the cousin of _Uthman b. _Affan (r. 644–656), the third caliph of Islam. Marwan was appointed secretary to _Uthman during his caliphate because of his knowledge of the Qur_an and became the caliph’s closest advisor. He probably encouraged the caliph to compile the Qur_an. Much of Marwan’s wealth came from the rich plunder he obtained during an expedition to North Africa, which he invested in properties in Medina. Despite objection from many Medinans, Marwan influenced _Uthman to appoint his brother, Harith b. Hakam, to oversee the market of Medina. Marwan was viewed as an ambitious man and his influence on the caliph was generally regarded as negative. When Egyptian malcontents negotiated a political settlement with _Uthman, Marwan is believed to have written a letter ordering the execution of the Egyptians concerned. It was the discovery of this letter by the Egyptians that led to _Uthman’s being besieged and murdered in his home in 656. This event is remembered as “the battle of the house,” or yawm al-dar. Marwan was wounded while trying to protect _Uthman. He later fought in the Battle of the Camel with _A_isha against _Ali, for _Ali would neither investigate nor punish the murderers of _Uthman. Later, Marwan swore allegiance to _Ali, but joined the ranks of Mu_awiya when _Ali was murdered. He was appointed governor of Medina by the caliph Mu_awiyya b. Abi Sufyan (r. 661–680), and served in this capacity from 661 to 668 and again from 674 to 677. Mu_awiyya was succeeded by his son, Yazid, who died in 683, followed by Yazid’s son, Mu_awiya II, who died a few months later. Meanwhile, the hostility provoked by Yazid during his brief caliphate, which saw the death of Husayn b. _Ali, the battle of the Harra (a stronghold in Medina), and the onslaught against Mecca, had brought _Abdullah b. al-Zubayr great popularity. Al-Zubayr was acclaimed caliph of the region extending from the Hijaz (a region in western Saudi Arabia) to Iraq. The Umayyads were thus forced to look beyond the Sufyanid family for a leader. At this point, frustrated by inadequate leadership, tribal loyalties that had been submerged by the uniting forces of Islam emerged once again. The faction led by Ibn Bahdal, chief of the Kalbi clan, proclaimed Marwan caliph, while the faction led by al-Dahhaq b. Ways al-Fihri supported Ibn al- Zubayr. When the two factions met at the battle of Marj Rahat it was Marwan who won the day Marwan immediately consolidated his position: He married Fakhita bt. Abi Hashim, the widow of Yazid, vowing that the latter’s son, Khalid b. Yazid, would be his successor. Once appointed caliph, however, he first replaced Egypt’s Zubayrid governor with his son, _Abd al-_Aziz. Then, reneging on his promise to Fakhita, he named his eldest son, _Abd al-Malik, heir to the caliphate. Finally, having defeated Mus_ab b. al- Zubayr, the brother of his rival caliph in Mecca, he sent his general, _Ubayd Allah b. Ziyad, to capture Iraq. Marwan died in 685, murdered by his wife, Fakhita, before Iraq was taken. His son, _Abd al-Malik (r. 685–705), successfully consolidated the Umayyad caliphate under the Marwanid banner. _Abd al-Rahman b. Muhammad b. Muhammad b. Abu Bakr Muhammad b. al-Hasan, better known as Ibn Khaldun, was born in the North African region of Ifriqiyah (Tunis) in 1332. Well known and controversial in his time, his Muqaddima (Introduction), has become one of the best-known and important works on medieval historiography for modern scholars. Ibn Khaldun was also actively involved in the politics of the period and traveled extensively across Spain, North Africa, and the Middle East. He died in Cairo on 16 March 1406. 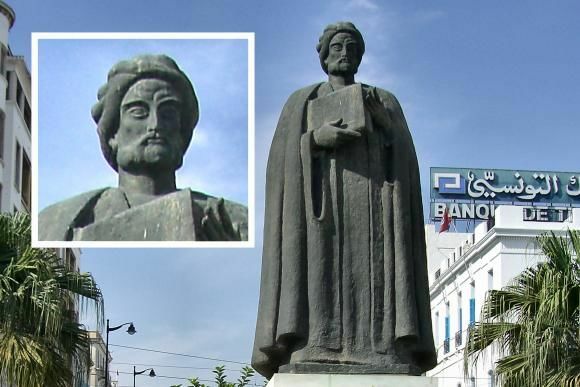 Ibn Khaldun came from an influential family that had originally settled in Andalusia at the beginning of the Muslim conquest of the Iberian Peninsula. Shortly before the beginning of the Reconquista his ancestors migrated to Tunis, where they became important administrators in local governments. His father, however, worked primarily as a jurist and a scholar. Because of his father’s position as a legal scholar, Ibn Khaldun was able to attain an education from some of the most famous North African scholars of the age. In the midfourteenth century the western Berber Marinid tribe invaded Tunis and established a short-lived dynasty. The Marinids imported a large number of legal scholars and theologians into Tunis and for a short period Ibn Khaldun, at this time in his mid-teens, was able to learn from a wide array of scholars in a variety of fields. The Marinid occupation of Tunis was, however, short and by the time Ibn Khaldun was seventeen most of the great scholars had already left Tunis for Fez, Morocco. the remaining six years of his life he was appointed and dismissed from the judiciary five more times. Ibn Khaldun remained a controversial figure even after his death. His Muqaddima, and to a lesser extent his other writings, were both respected and reviled by later scholars. In the Muqaddima, Ibn Khaldun sets forth a clear exposition of his theory of social and historical development and decline. He describes the various Islamic sciences, their development, and the process of professionalization that scholars had to endure to become certified by their contemporaries as qualified academics. This process of professional certification, according to Ibn Khaldun, which had become so extensive by the medieval period that it prevented scholars of in-depth knowledge in any one field, was one of the factors that led Muslim societies to decline. His theories about the decline of Muslim society would influence late-nineteenth and twentiethcentury Muslim scholars who embraced Ibn Khaldun’s theories as evidence of the need for renewal of Islamic culture and thought. Taqi al-Din Ahmad Ibn Taymiyyah was born in Harran in northern Syria in 1263 C.E. and died at the age of sixty-five in Damascus in 1328. A prolific writer on all subjects related to the Qur_an, hadith, sunna, theology, law, and mysticism, he was a dynamic and controversial figure during his lifetime, and he remains to this day an influential figure in Islamic thought and practice. A loyal associate of the Hanbali theological and legal school of thought, he put his beliefs into practice as a religious, political, and social reformer. Responding to various crises of the late thirteenth and early fourteenth centuries in the Middle East, such as the Mongol invasions, the destruction of the Abbasid caliphate, and the eventual rise of the Mamluk dynasty of Egypt and Syria, Ibn Taymiyya sought the revival of Islamic society based on a model of what he believed was the pristine community of Muslims at the time of the Prophet and his companions at Medina. But his efforts to revive Islamic society were not only aimed at political and social reform, he sought also to achieve the revival of the inner or spiritual components of Islam. In fact, Ibn Taymiyyah believed the inner reform had to occur first before any outward reform would be possible. This perspective on his part brought Ibn Taymiyyah into conflict with many speculativetheologians (mutakallimun), philosophers, and Sufi mystics, whom Ibn Taymiyya accused of deviating from the pure Islam of Muhammad and the Qur_an by adopting non-Islamic systems of belief, in particular the logic and philosophy of the ancient Greeks. Ibn Taymiyya’s life can be divided into three distinct periods, each representing a significant phase in his development as a thinker and reformer. The first phase goes from his birth until 1304, during which time Ibn Taymiyyah received his training as a scholar and was involved in defending Damascus from incursions by the Mongol Ilkhans of Persia. The second period lasts from 1304 until 1312, during which time he was in Egypt. This period is marked by his growing controversywith Sufi mysticism as well as his involvement with the political turmoil related to Sultan al-Nasir Muhammad b. al- Qalawun’s consolidation of power. Ibn Taymiyya spent many years on trial and in prison during this time, stemming from his religious pronouncements and his support for al-Nasir Muhammad. The third phase begins with his return to Damascus in 1312 and lasts until his death in 1328. This is the period of the maturing of his ideas and the time of his most prolific and significant writings. Although these years were relatively free of controversy, toward the end of his life he came into conflict with religious and state authorities over doctrinal and legal issues. Ibn Taymiyya died in prison in Damascus shortly after being denied contact with all but his closest family members and being forbidden to write any more letters, essays, or legal rulings. The core of Ibn Taymiyya’s thought revolves around a set of principles from which he develops an elaborate worldview. These principles can be summarized as follows: an absolutedistinction between the creator and the creation, revelation as a complete and self-sufficient system, and a necessity to constantly return to and understand the Qur_an and the sunna in light of the traditional teachings of the earliest generations of Muslims (al-salaf al-salih). Ibn Taymiyya has been described as a “dogmatic historian,” for he developed a theology based on the concept of a necessarily preserved true religion. This religion as embodied in the Qur_an and the sunna of prophet Muhammad was transmitted intact by the salaf al-salih. The canonical collections of authenticated hadiths contain this transmitted wisdom, and thus, for Ibn Taymiyya, forms the basis for all interpretation and practice in Islam. His methodological approach is premised on the correct use of five sources for gaining knowledge of the beliefs and practices that are pleasing to Allah. These are (1) the Qur_an, (2) the sunna of the Prophet, (3) the statements and actions of the companions of the Prophet (al-sahaba), (4) the opinions of the followers (altabi _un) of the companions, and (5) the Arabic language, which for him is the only divinely ordained religious language. These sources make up what Ibn Taymiyya believes is a comprehensive notion of revelation. Any methodology or belief system outside revelation is not deemed to be an acceptable means of attaining truth. In relation to jurisprudence and the schools of law (madhahib), Ibn Taymiyya maintains that theoretically the four imams of the recognized Sunni schools of law agreed on the principles (usul) of Islam, but pragmatically they differed concerning particular rulings (furu_). Thus he upholds the legitimacy of the four schools yet argues that scholars must continue exerting independent judgment (ijtihad) in an effort to come ever closer to the theoretically pure Islam. He argued that blind following (taqlid) of one scholar or school of thought was tolerated for the layperson, but scholars were under an obligation to seek out and follow the truth even if it is found to lie outside their particular affiliation to a school of thought. This stance brought him into conflicts with other jurists, even with his fellow Hanbalis. But more than his political and legal opinions, Ibn Taymiyya’s theology remains the most salient feature of his religious thought. Devoted to a defense of a monotheism that does not compromise the nature and attributes of Allah as derived from the Qur_an and the sunna, he set himself against the great traditions of speculative theology (kalam), philosophy, and mysticism that had evolved in Islamic civilization. Following closely the creeds established by Ahmad Ibn Hanbal and other hadith scholars of the ninth century, Ibn Taymiyya developed a very sophisticated and subtle theology that he promoted quite vigorously. His theology begins with the notion of God as the eternal, omniscient, and omnipotent creator who brought the universe into existence out of nothingness (ex nihilo) as a willful act. He rejects any form of pantheistic thought that compromises this belief. Thus he devotes much of his writings to refutations of mystical philosophies, such as that of Ibn al-_Arabi (d. 1242). However, he does not want to compromise the idea of a personal God with whom a believer can establish an intimate spiritual relation. Therefore, he also rejects the sterile descriptions of Allah put forth by philosophers and speculative theologians, who stripped him of many of his essential names and attributes. His main targets of refutation are the Mu_tazilites, the Ash_arites, andphilosophers such as Ibn Sina (d. 1043). These theological debates often brought the charge of anthropomorphism against Ibn Taymiyya because he insisted on affirming attributes to Allah such as that he has a hand and a face, that he loves and hates, and that he ascends and descends while remainingrisen above the throne over the heavens. Ibn Taymiyya’sdefense is that these descriptions appear in the Qur_an and authentic hadiths and have been maintained by the companions of the Prophet. He also argues that these attributes cannot be comprehended by human intellect but must be accepted as a matter of faith without questioning (bi la kayf) the manner in which these attributes exist in Allah.